KP® Mathematics offers a variety of opportunities for teachers to grapple with strategies and methods that help students engage in math that is deep, active, and engaging. 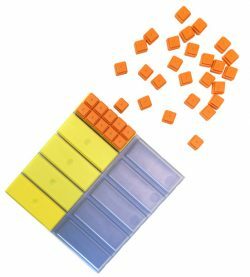 Ten-Frame Mathematics workshops and seminars take the unique approach of applying the already-popular ten-frame to the entire base-ten system. 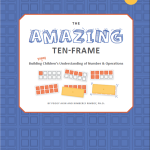 The emphasis placed on integrating Ten-Frame Mathematics into instruction with district- and school-adopted curricula and resources encourages teachers to bring these new ideas into active use in their classrooms. These workshops offer opportunities for teachers in single grades or grade-clusters to gather together from across your district and engage in deep learning of Ten-Frame Mathematics strategies and methods specific to their classrooms. These workshops are similar in content to district-wide workshops, with a focus on Ten-Frame Mathematics strategies and methods specific to the selected grade levels. The primary focus here is on the learning needs and goals of the teachers specific to one campus. Coaching offers individual and small-group job-embedded coaching to facilitate transformational professional learning. KP Math consultants work with classroom teachers, grade-levels, teacher leaders, coaches, and administrators, helping them refine their respective skills. KP Program-Focused Workshops and Coaching focus on successful implementation of The Amazing Ten Frame, Serious Play, Expeditions to Numeracy, or Above & Beyond, ensuring that teachers follow the programs faithfully in order to maximize student success. These workshops afford teachers the opportunity to dive deep in to their grade-level-specific strategies designed by KP Mathematics authors. These workshops focus on conceptual understanding and representations of base-ten mathematics. 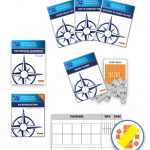 They also include problem solving tasks and interactive game extensions for each mathematics standard. Participants walk away with a variety of standards-based lessons for using ten-frame mathematics right away in their classroom. These workshops bring teachers together to engage in a unique approach for helping students grapple with the structure of mathematics. 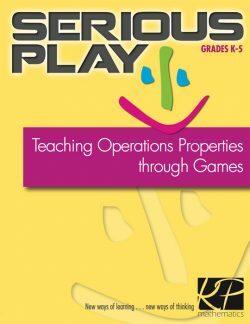 While engaging in game play, students grapple with behaviors of the properties of operations (commutative, associative, distributive, etc.) while practicing mental math skills and enjoying strategy-play. Teachers walk away with a plethora of games that guide both learning and teaching. 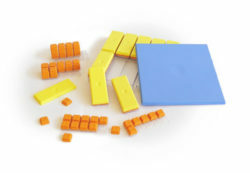 These workshops provide the content and pedagogical foundation for using KP Ten-Frame Tiles in an intervention setting. In addition, teachers learn to navigate the Expeditions to Numeracy program components and prepare their assessment notebooks for the “continuous assessment and instruction” pathway through the program. Participants walk away with an understanding for how to navigate the Expeditions to Numeracy program as well as how to use ten-frame tiles as the basis for learning and teaching. These workshops provide the content and pedagogical foundation for using KP Ten-Frame Tiles in classrooms for students in special education. In addition, teachers learn to navigate the Above & Beyond program components and prepare their assessment notebooks for monitoring student progress. 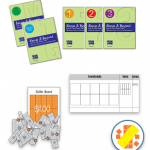 Participants walk away with an understanding for how to navigate the Above & Beyond program as well as how to use ten-frame tiles as the basis for learning and teaching. KP Program Coaching extends the learning experiences from the workshops, helping participants connect their learning directly to classroom instruction. KP Coaches work directly alongside the teachers, demonstrating, co-teaching, planning, and guiding teachers as they implement tools, strategies, and methods that help students build critical understanding.